Earlier this week Guido took Mrs Fawkes to a preview showing of George Clooney’s new political thriller “The Ides of March”. Mrs Fawkes isn’t interested in politics, but she is interested in George Clooney. Half the Lobby were at the screening as well – some with their other halves – it is a deeply political thriller about a US presidential campaign. 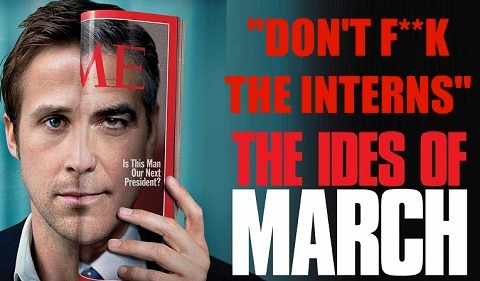 Clooney follows in the footsteps of Robert Redford in “The Candidate” (1972) in as much that it is about a good looking liberal-left politician who has to make compromises with reality to win an election. Guido won’t spoil the story, but it will appeal to co-conspirators.